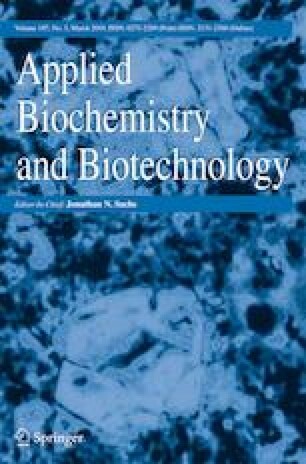 Enhanced Production of Phenolic Compounds in Compact Callus Aggregate Suspension Cultures of Rhodiola imbricata Edgew. Rhodiola imbricata is a rare medicinal plant of the trans-Himalayan region of Ladakh. It is used for the treatment of numerous health ailments. Compact callus aggregate (CCA) suspension cultures of Rhodiola imbricata were established to counter extinction threats and for production of therapeutically valuable phenolic compounds to meet their increasing industrial demands. The present study also investigated the effect of jasmonic acid (JA) on production of phenolic compounds and bioactivities in CCA suspension cultures. CCA suspension cultures established in an optimized Murashige and Skoog medium supplemented with 30 g/l sucrose, 3 mg/l NAA, and 3 mg/l BAP showed maximum biomass accumulation (8.43 g/l DW) and highest salidroside production (3.37 mg/g DW). Upon 100 μM JA treatment, salidroside production (5.25 mg/g DW), total phenolic content (14.69 mg CHA/g DW), total flavonoid content (4.95 mg RE/g DW), and ascorbic acid content (17.93 mg/g DW) were significantly increased in cultures. In addition, DPPH-scavenging activity (56.32%) and total antioxidant capacity (60.45 mg QE/g DW) were significantly enhanced upon JA treatment, and this was positively correlated with increased accumulation of phenolic compounds. JA-elicited cultures exhibited highest antimicrobial activity against Escherichia coli. This is the first report describing the enhanced production of phenolic compounds and bioactivities from JA-elicited CCA suspension cultures of Rhodiola imbricata. The online version of this article ( https://doi.org/10.1007/s12010-018-2851-y) contains supplementary material, which is available to authorized users. The authors wish to acknowledge Defence Research & Development Organization (DRDO), Ministry of Defence, Government of India, for financial support. Authors also wish to acknowledge Dr. Somen Acharya and Sc. ‘C’ Rajkumar for providing necessary facilities. The authors are also grateful to Rashmi Gupta for reviewing and copy-editing of the manuscript. Experimental design, analysis and interpretation of data, and writing of the manuscript: SK, AS, HS, SS and OPC; HPLC analysis: SK and PB; Critical revision of the manuscript: HS. Tayade, A. B., Dhar, P., Kumar, J., Sharma, M., Chauhan, R. S., Chaurasia, O. P., & Srivastava, R. B. (2013). Chemometric profile of root extracts of Rhodiola imbricata Edgew. with hyphenated gas chromatography mass spectrometric technique. PLoS ONE, 8(1). https://doi.org/10.1371/journal.pone.0052797. Yáñez, J. A., Remsberg, C. M., Takemoto, J. K., Vega-Villa, K. R., Andrews, P. K., Sayre, C. L., & Davies, N. M. (2012). Polyphenols and flavonoids: An overview. In flavonoid pharmacokinetics (pp. 1–69). Wiley-Blackwell. https://doi.org/10.1002/9781118468524.ch1. Verpoorte, R., van der Heijden, R., van Gulik, W. M., & ten Hoopen, H. J. G. (1991). Plant biotechnology for the production of alkaloids: Present status and prospects. In A. Brossi (Ed. ), The alkaloids: Chemistry and pharmacology (Vol. 40, pp. 1–187). Academic Press. https://doi.org/10.1016/S0099-9598(08)60268-0.